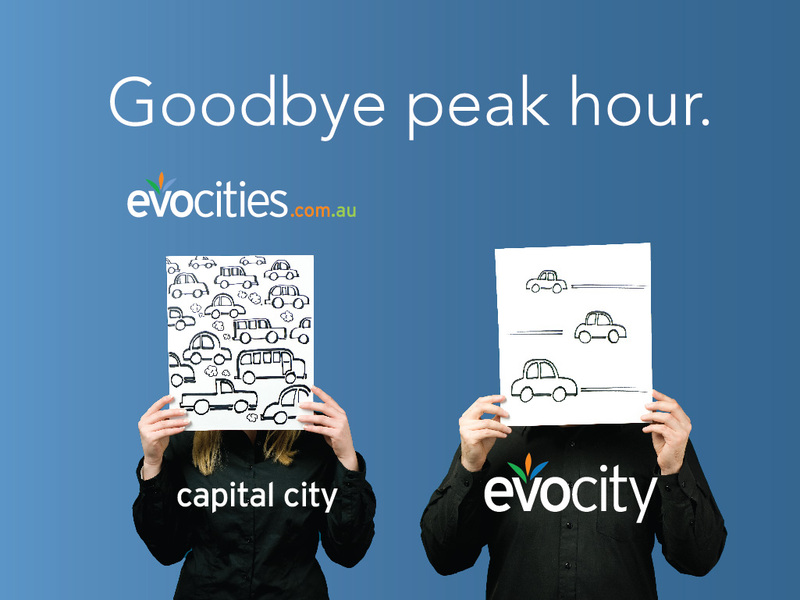 The Evocities marketing campaign has been lauded, in Government circles, as the most successful ‘relocation’ campaign ever launched in Australia. Winner of international, national and state awards the campaign, aimed at luring residents of Sydney to move to one of the seven Evocities of New South Wales , has been the result of Pepper’s strategic planning, creative, design, web and management out-puts since the campaign was first launched in September 2010. Product: 45 sec, 30 sec & 15sec TVCs, Outdoor, Radio, Print, Websites (network of) , Digital Marketing and Campaign Management. 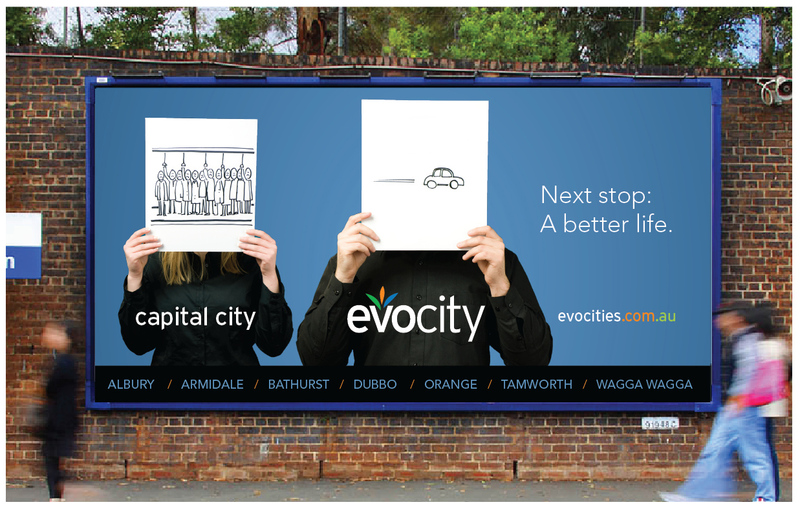 Using the analysis of market research, conducted by Pepper (previously ASCET) in the Sydney market, the creative team created the Evocities brand name, which was enthusiastically adopted by the seven regional cities of Albury, Armidale Bathurst, Dubbo, Orange, Tamworth and Wagga Wagga. The brand is now firmly established as an iconic name recognised as belonging to the larger regional cities of New South Wales, with the brand representing the energy, vibrancy and opportunity that exists in these cities. Again using the conclusions from market research, Pepper’s Lead Strategist, Shane Manley, created the original communication/marketing strategy which was aimed at reaching Sydney residents, at a time of their “peak discomfort’ – whilst commuting. The initial mass media campaign included a strategic mix of Outdoor (Billboards, Trains and Buses) and Radio (drive times), supported by a PR campaign (managed by Senate shj). Since the initial 2010/2011 mass media campaign, the project has moved to predominantly digital channels, targeting the residents of Sydney, Melbourne and Brisbane. Pepper continues to drive the marketing activities. The marketing campaign has resulted in over 3,000 enquiries lodged via the ‘Evocentral’ web based platform (built by Pepper), with a minimum of 2,500 families being recognised as moving to the Evocities since the campaign launch. 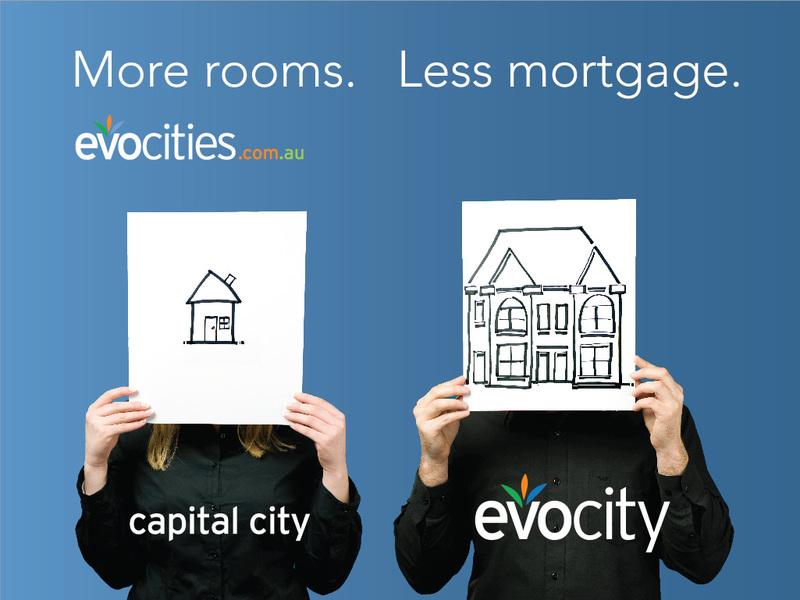 As at July 2015, there has been over 230,000 visits to the campaign website – www.evocities.com.au – and a staggering 1.2 million visits to the Evojobs websites – www.evojobs.com.au. The Evojobs sites (designed and constructed by Pepper) are now averaging over 35,000 sessions every month.